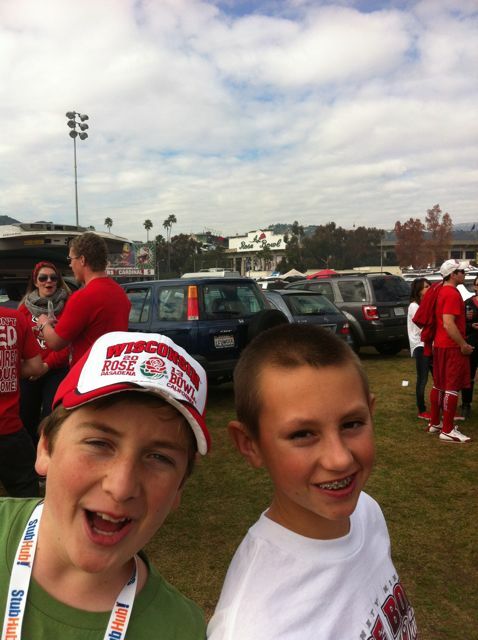 Hubba and Nick started out 2013 by going to the Rose Bowl. 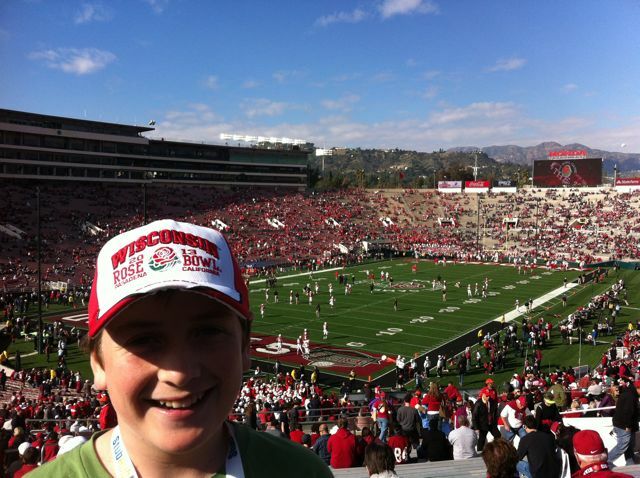 Wisconsin played Stanford this year and Nick’s friend, Harrison invited Hubba and Nick to join in the fun! Nick’s very first College Football game ever! Hubba’s second. They left at 8am and came home about 8pm, pooped with plenty of great stories to share! They were rooting for Wisconsin, who lost. No matter, it was an experience of a lifetime for sure! Tony had his buddy, Evan over. They went and saw the Hobbit. Joe played in the neighborhood football bowl in the morning, then he and I went to Target and used up a gift card all on Joe’s whim while Evan and Tony were at the movies….fantastical!